How and Why the LTTE Evicted Muslims from the Northern Province 25 Years ago in “Black October 1990”. The Investigation launched by the office of the United Nations High Commissioner for Human Rights has in accordance with its terms of reference probed the period of time from the 2002 February ceasefire until the end of the war in May 2009 to ascertain whether war crimes, crimes against humanity and human rights violations occurred in Sri Lanka during the final phase of the war as alleged. The focus on these particular years has naturally led to the overlooking of many other terrible incidents which happened in the years preceding 2002. Notable among these horrors is the mass expulsion of Muslims from the North by the Liberation Tigers of Tamil Eelam(LTTE). The twenty-fifth anniversary of this cruel, inhuman episode in the history of Tamil –Muslim relations in Sri Lanka is being widely remembered at present. It was in October 1990 that the tiger organization (LTTE) forcibly expelled the Tamil speaking Muslim people from the Northern Province in an atrocious act amounting to ethnic cleansing. Within a few days the Muslims were chased out of their homeland where they had lived for many, many centuries. The mass expulsion of Muslims from the North in 1990 was a humanitarian catastrophe. Uprooting a people from their habitat at gun point and driving them away after depriving them of their cash and jewellery was despicable and unpardonable. I have often written about this tragedy in the past. I now intend to focus upon this mass expulsion on the occasion of its 25th anniversary. I shall be drawing on some of my earlier writings in a bid to revive memories of this mass expulsion by relating in brief the tale of this terrible tragedy. I also want to trace the sequence of events that led to this sordid exercise in which the Tamil speaking Muslims were chased out by their gun toting linguistic brethren. “Black October” 1990 began in the Jaffna peninsula with the expulsion of Muslims of Chavakachcheri on October 15th and ended with the Muslims of Jaffna town on Oct 30th. The mass eviction of Muslims on the Northern mainland began a few days before it commenced in Jaffna town and concluded a few days after the peninsula was “cleansed” of Muslims. The bulk of Northern Muslims were then living in the Mannar district .They were sent out.Apart from Jaffna and Mannar , the Muslims of Mullaitheevu and Kilinochchi districts were also sent out .The Muslims in Vavuniya were luckier as most of their villages were in the Government controlled areas. More than 50,00 Muslims were expelled from the northern mainland by the LTTE. Together with those of the peninsula the Muslims driven out from the Northern Province numbered around 75,000 in 1990. The northern Muslims like their Tamil counterparts were equally affected by the on going war then. They too like Tamil civilians had from time to time vacated their homes during intense shelling or bombing.They had always returned home in a few days. But the eastern province situation was taking a different turn. Tamil – Muslim hostilities were increasing in the East. The desertion of some Muslim cadres in the LTTE and a few of them going over to the enemy incensed the Eastern LTTE under Karuna (military commander) and Karikalan (political commissar). Many other Muslim cadres in the LTTE were executed by the leadership. An anti – Muslim spirit pervaded the LTTE. On the other hand the UNP govt of the day also exploited and aggravated these feelings. Many Muslim anti-social elements were inducted as homeguards. These sections collaborated with the security forces in promoting anti-Tamil violence. In some cases Muslim homeguards were responsible for Tamil civilian massacres. Some Tamil hamlets and villages were destroyed by Muslim homeguard led mobs. They were given covert support by sections of the security forces. The LTTE in turn responded with terrible gruesome massacres of Muslim civilians. The Sammanthurai and Kattankudi attacks on Mosques and killing of Muslims while praying and the massacres of civilians at the Saddham Hussein model village of Eravur being notorious examples. A diabolical aspect to this state of affairs was the deliberate attempt to foment Tamil – Muslim friction by a section of the security establishment. A case in point was the shady phenomenon of “Captain Munas”. A “unit” under the command of this Captain Munas was reportedly responsible for many disappearances and executions of Tamils in Batticaloa in 1990. The name Captain Munas was loathed and feared. It was assumed that he was a Muslim. However in later years the Soza commission of inquiry revealed that the so called capt. Munas was in actual fact an “intelligence” official named Richard Dias. Though Tamil-Muslim relations were at a low point in the East the situation was quite different in the North. Both communities continued to co – exist there peacefully. One reason being that Muslims were a small minority posing no threat whatsoever to the Tamil majority. This situation of Muslims living peacefully in the North while tensions prevailed in the East was unacceptable to the Eastern tigers. A delegation led by Karikalan the then LTTE eastern political chief came to the North to persuade tiger supremo Prabhakaran that “stern” action should be taken against Muslims. Karikalan apparently wanted a lesson to be taught to the Muslims. Even as this pressure was being exerted on the tiger hierarchy an incident occurred at Chavakachcheri in the Thenmaraaatchi sector of the Jaffna peninsula. On September 4th 1990 a group of Tamils aligned to the LTTE as “helpers” had an altercation with some Muslims near the Chavakachcheri mosque. Some tried to attack the Mosque also. Youths of the Muslim community apprehended some of the Tamils involved and handed them over to the LTTE.The tigers released them and warned the Muslim “minority” not to “offend” the Tamil “majority” .On September 25th a Muslim youth protesting the denial of a Pass by the LTTE to leave the Penisula was assaulted by tiger cadres who “arrested” him. He went “missing” thereafter. Most of the Chavakachcheri Muslims lived on Dutch road in the town. The LTTE while investigating an incident of intra-Muslim violence discovered some swords in the house of a butcher.According to tiger “explanations” this had triggered off an alarm bell. The LTTE conducted a search of Muslim houses and businesses and found about 75 swords concealed in a shop owned by a prominent Muslim trader .This was seen as part of a deadly conspiracy. Even if this explanation were true one cannot see 75 swords being of any use against the Kalashnikovs of the LTTE. The shop where the swords were found belonged to a Muslim businessman whose lorries travelled to and from Colombo for trade. The LTTE intelligence known for its excessive paranoia suspected a greater conspiracy. It was suspected that the security-intelligence apparatus could be using Muslim businessmen travelling frequently to Colombo as agents to engage in sabotage or act as spies. Pre-emptive action was required it was felt. So the Chavakachcheri Muslims concentrated mainly on Dutch road were expelled on October 15th 1990. Close upon 1000 people were forced to leave at gunpoint. They were told to go beyond Vavuniya the southern most town of the Northern province. The Chava Muslims reached Vavuniya on Oct 18th.Once the Chavakachcheri Muslims were ordered to leave the chain reaction started. The tragedy of this expulsion was that the Muslims began fleeing the areas they had lived in for generations on the orders of an armed movement. There was no protest, no opposition. Such was the terror and power of the LTTE. Besides the Muslims were few in numbers. Five years later Tamils too were forced into fleeing Jaffna in large numbers during the engineered exodus of 1995. 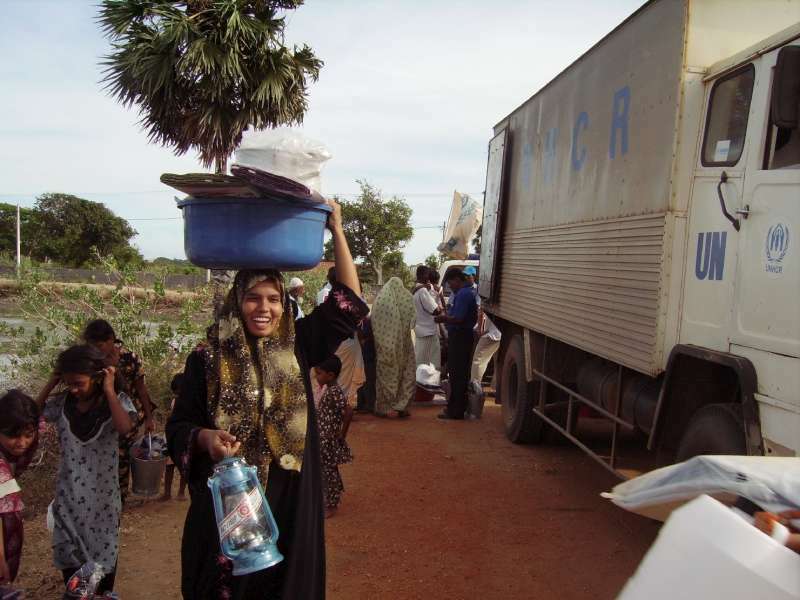 Later in 2007 – 2009 Tamils in the northern mainland of Wanni had to move from place to place as the war escalated. Ultimately they were restricted to a small strip of littoral on the Mullaitheevu coast. Some would say perhaps that these are manifestations of the greater law of Karma or the universal principle of Dharma! According to explanations provided by the LTTE later, the presence of an Eastern contingent under Karikalan in the North in October was greatly responsible for the decision of mass expulsion. Essentially it was depicted as some form of retaliatory warning to the eastern Muslims. This decision was further influenced by the exaggerated threat perception. In a blatantly racist mindset the Muslims were seen as potential fifth columnists. It was against this backdrop that the mass expulsion exercise took place. The Muslims in Mannar district comprised 26% of the district population according to the 1981 census. They were 46% of the Mannar Island linked to the mainland by the Thalladdy causeway .The premier and relatively prosperous Muslim village on Mannar Island was Erukkalampitty. Around 300 tiger cadres encircled Erukkalampitty on Oct 21st 1990 and robbed the Muslims of cash, jewellery and valuable electronic goods. Around 800 – 850 houses were targeted. On Oct 22nd some Muslims from Marichukkatty village near the Mannar – Puttalam district border were arrested by the LTTE for allegedly having clandestine dealings with the armed forces. On Oct 23rd the villagers of Marichukkatty were ordered to leave the place. This was followed by an eviction order on Oct 24th to all muslims in the Musali AGA division where Marichukkatty is situated. Musali incidently is a Muslim majority AGA division. The expulsion process continued in Mannar.on Oct 24th the LTTE announced by loudspeaker that all Muslims living in Mannar Island should go out by Oct 28th and that they should report to the local LTTE office to finalise the procedures of expulsion. The helpless Muslims prepared to do so and began packing. On Oct 26th the LTTE “invaded” Erukkalampitty again and seized all the packed belongings of Muslims. Many Tamils of Mannar including members of the Catholic clergy remonstrated with the LTTE over the expulsion order but to no avail. The LTTE then extended the expulsion deadline to Nov 2nd. On October 28th evening the LTTE sealed off Erukkalampitty and other Muslim areas on Mannar Island. The Muslims of Mannar Island from the town and areas like Erukkalampitty, Tharapuram, Puthukkudiyiruppu, Uppukulam, Konthaipitty etc were forced to assemble enmasse on selected spots on the beach.They were left there without food or water or proper facilities for personal care. Concerned Tamil citizens from Mannar argued with the LTTE and managed to take bread and water to the thousands of people on the beach. And then the Muslims of Mannar Island were forcibly sent 60 miles south by sea to Kalpitiya in the North Western province.Boats owned by Muslims in Mannar and Puttalam were used for this purpose. The entire exercise took more than three days. At least one child fell in the waters and died. Some infants and elderly people passed away soon after reaching Kalpitiya. If that was the pathetic plight of Muslims on Mannar Island the situation of Muslims in the Mannar district mainland was equally wretched. The Muslims from the Muslim majority Musali AGA division as well as other Muslims living in other areas such as Vidathaltheevu, Periyamadhu, Sannar, Murungan, Vaddakkandal, Parappankandal etc were ordered by the LTTE on Oct 25th to surrender their vehicles, bicycles, fuel and electronic goods to the Mosque or local school. On October 26th they were ordered to report to the local LTTE office for instructions on how to “leave” the district.Each family was allowed possessions in five travel bags, 2000 rupees in cash and one gold sovereign. 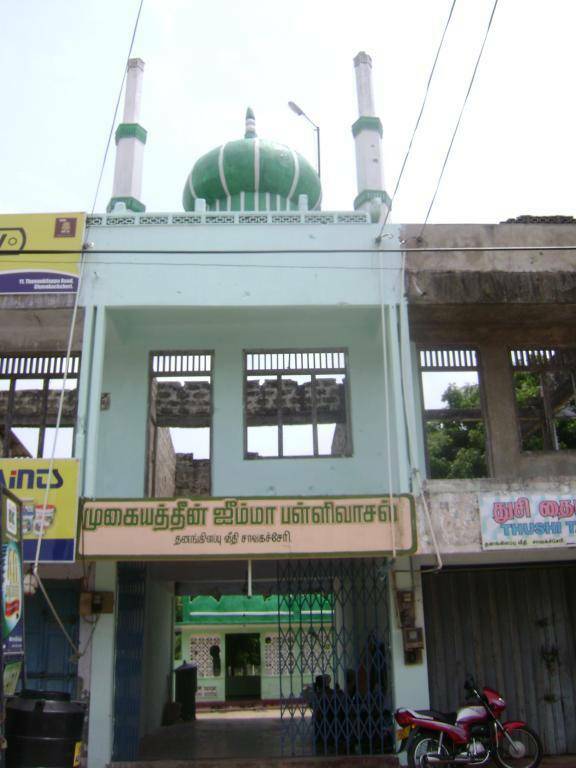 The Muslims were checked in three places –Madhu,Pandivirichaan and a location near Vavuniya town. At Madhu and Pandivirichaan ,people carrying more items than they were “allowed” found those being confiscated and “receipts” issued by cadres. But near Vavuniya many of the items including thermos flasks were arbitrarily looted. This segment of Muslims arrived on foot to Vavuniya. The expulsion went on in other parts of the Northern Wanni mainland. On October 22nd morning a few Muslims in Neeravippitty in Mullaitheevu district were arrested on “suspicion” that they were supplying information to the armed forces. The same evening all Muslims in Mullaitheevu district were ordered to leave within a week’s time. The following day on Oct 23rd all Muslims living in Kilinochchi district were ordered to go out within five days. According to the 1981 census Muslims comprised 4.6% of Mullaitheevu and 1.6% of Kilinochchi districts respectively. Even as the expulsions were taking place in Wanni the Jaffna Muslims were unperturbed. According to the 1981 census Muslims in the Jaffna district were 1.66% of the total population. A portion of these in Chavakachcheri had been already chased out.But the Jaffna town area Muslims could not see any danger befalling them. These were things happening to others for different reasons. Jaffna Muslims saw themselves as integral to Jaffna. Nothing could happen to them from their Tamil brethren. Like some Jewish people during the Hitler era they continued with “normal” life unmindful of the brewing disaster. It appears in retrospect that the LTTE was more harsh on Jaffna Muslims than the others. 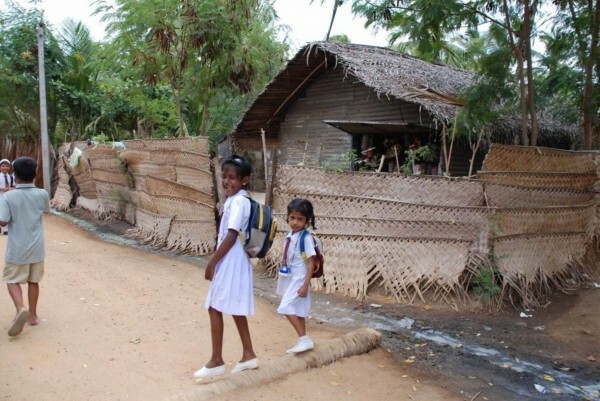 They were given an incredibly short deadline to leave Jaffna. This may have been due to the LTTE deciding that Jaffna be “cleansed” of Muslims by November. Comparatively the tigers came “last” to the Jaffna Muslims. The LTTE D-Day for them was October 30th. Many Jaffna Muslims left Sri Lanka after their expulsion and sought refuge in Western countries. Some came to Canada also. I have met and interacted with several of these persons in Toronto and quite a few are now close friends. I have listened to them relating harrowing tales of their horrible experiences during the expulsion and after. Their accounts saddened and depressed me greatly. The people abandoned whatever they were doing and hurried to the grounds. At 12. 30 pm a senior tiger leader Aanchaneyar addressed them. Aanchaneyar later went by another name Ilamparithy. Aanchaneyar or Ilamparithy had a brief message.The LTTE high command for reasons of security (Paathukaappu) had decided that all Muslims should leave Jaffna within two hours. Failure to do so meant punishment. No further explanation was given. When people started to question him Ilamparithy lost his cool. He barked loudly that the Muslims should simply follow orders or face consequences. He then fired his gun several times in the air. A few of his bodyguards followed suit. The message was clear. The people thought initially that the army was going to invade Jaffna and that the LTTE was asking everyone to leave. Only belatedly did they realise that only the Muslims were being ordered to leave. With more and more armed tigers coming into the area the perturbed Muslims began packing. Initially they were not told of any restrictions on the things they could carry. So people packed clothes, valuables, jewels and money. Buses, vans and lorries were made available for transport by the tigers. Many Muslims made their private transport arrangements too. The Muslims streaming out of their homes were now given a fresh order. They were asked to queue up at the “Ainthumuchanthi” junction. As the hapless people lined up they were in for a terrible shock. Male and female cadres of the LTTE began demanding that the Muslim people hand over all their money, belongings and jewellery to them. Each person would be allowed only 150 rupees each. Each person would be allowed only one set of clothes. Feeble protests were raised. The brandishing of sophisticated weapons and threats in aggressive tones quickly silenced them. The suitcases with clothes and other belongings were confiscated. They were opened first and selected clothes taken out. If a person wore trousers an extra set of trouser and shirt was given. If a person wore a sarong an extra sarong and shirt was given. All the money and documents including title deeds to property,cheque books and national identity cards were confiscated. Women and girls were stripped of jewels. Some women cadres were brutal even pulling out ear studs with blood spurting in the ear lobes. The children were not spared. Not a watch was left. Jaffna Muslims reported later that Karikalan from Batticaloa was supervising the entire operation. At least 35 wealthy Muslim businessmen were abducted. They were detained by the LTTE. Some Muslim jewellers were tortured for details of hidden gold. One jeweller was killed by the beatings in front of the others. Later huge sums of money were demanded for their release. Some paid up to 3 million. The abducted persons were released in stages over the years. 13 people however never returned and are presumed dead. After expelling the Jaffna Muslims the LTTE cordoned off the area with ropes. The “Virakesari” of Nov 2nd 1990 reported that this was done to protect the property till the Muslims returned. Some of the dazed Muslims too thought that their expulsion was only temporary. It took months for them to understand the true state of affairs. As time went on some of the once rich – now pauperised – Muslims found themselves unable to adjust to the new situation. They have declined greatly over the years. The LTTE was particularly cruel in the case of Jaffna Muslims. The Jaffna Muslims were concentrated in two or three densely populated wards of the Jaffna Municipality. Sonaka theru, Ottumadam and Bommaively etc were their areas. They were an integral part of Jaffna society. There was a time when the Jaffna new market built by Mayor Alfred Duraiappah was virtually dominated by Muslims. Two of the three blocks were monopolised by Muslims. The hardware, lorry transport, jewellery and meat trades in Jaffna were dominated by Muslims. 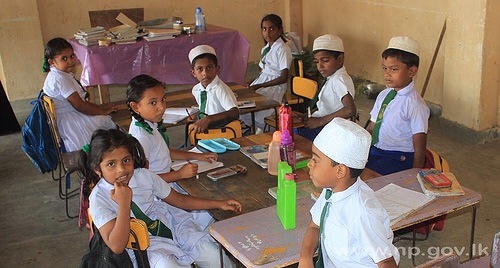 The Muslims of Jaffna like the Jaffna Tamils had also built up a proud educational tradition. Former civil servant and Zahira Principal AMA Azeez, Supreme Court Judge Abdul Cader, Appeal Court Judge MM Jameel. Education Director Munsoor etc being some leading lights of the Jaffna Muslims. There were Municipal Councillors and two MMCs Basheer and Sultan had been deputy – mayors and acting mayors of Jaffna. Meanwhile the LTTE looted almost all possessions left in the Muslim houses. Many houses were stripped of tiles, wooden frames, doors, windows, etc. Much of the looted furniture was sold to Tamils through the LTTE Shops or “Makkal Kadai”. Some Muslims returning to the North after the ceasefire recognized their possessions in other houses and businesses. Many Muslim houses,lands and vehicles were sold illegally to Tamils by the LTTE. The total Muslim population of the Northern Province according to the 1981 census was 50,991 or 4.601%.Muslim community leaders say the Northern province Muslim population at the time of expulsion in 1990 numbered about 81,000. This consisted of about 20,000 in Jaffna ,45,000 in Mannar,7000 in Mullaitheevu,8000 in Vavuniya and around 1000 in Kilinochchi. Of these about 75,000 barring those in Vavuniya and Nainatheevu were forcibly expelled. 67,000 Muslim people were registered at IDP camps immediately after the mass expulsion. The remainder stayed outside camps with relatives and friends. After 25 years this population is expected to have almost doubled due to natural increase.After the war ended, bout 75 % of the Northern Muslims registered their willingness to go back to the North and be resettled. But the 2012 census indicates that only a small number of Northern Muslims have returned permanently to their homelands despite consenting to do so. The Muslim population in the Northern Province and their percentage in the respective districts according to the 2012 census is as follows. Mannar 16,087 -16.2%; Vavuniya 11,700 -6.8; Jaffna 2139 -0.4% ;Mullaitheevu 1760 – 1.9% ; and Kilinochchi 678 -0.6%. When compared to the estimates at the time of expulsion in 1990, the Muslim population has shown a marked decrease except in Vavuniya which was not totally affected then.The Muslim population in the Northern province according to the 2012 census was only 32,396 or 3.061%. Many of the displaced Muslims who returned are yet to put down firm roots in their places of origin. They remain a “floating population” still.There are many social, cultural,economic and political reasons for this poor performance in Northern Muslim resettlement. These complex reasons have to be analysed and elaborated upon in detail on a future occasion. As for now I would like to conclude by reiterating a few points made by me earlier in several articles. One of the greatest attributes of some expelled Muslims that I have come across is their lack of visible bitterness with Tamils. They realise that it was the LTTE which was responsible for their predicament and the reasons for it. They do not blame the ordinary Tamil for it. They also retain sympathy for the Tamil plight at the hands of both the state and the LTTE. Above all their fondness for the Tamil language, its literature and media have not decreased. Furthermore they are wistfully nostalgic about Jaffna asserting proudly that the North is their homeland too. This magnanimity in spite of the injustice meted out to them shames the Tamil community at large. Except for a few voices there has been no powerful outcry against the LTTE for perpetrating this atrocity against the Muslims. A greater and vigorous demand has to be made by the Tamils that all expelled Muslims be resettled in their former homes with full compensation and restoration of property and awarded alternate provisions wherever necessary. In that context what pains me greatly is the resentment and hostility shown by some sections of the Tamils in the North towards the return and re-settlement of Muslims in the North. Several Tamil religious dignitaries, bureaucrats, professionals, businessmen and politicians are guilty of harassing those who have returned and placing obstacles to prevent permanent resettlement. One understands that psycho – social as well as socio – economic problems are likely to rise when a body of people uprooted for decades return to their original places of domicile and attempt to re-establish themselves. A new economy and order of life prevails in the places they were forced to vacate while the returnees themselves are used to a new way of life as internally displaced people. There is inevitable friction in such a situation. There is also commercial competition as the more entrepreneurial Muslims seek to establish or expand business activity in competition with their Tamil counterparts. Northern Chief Minister CV Wigneswaran introduced a resolution early this year calling for an international investigation into alleged genocide of Tamils in Sri Lanka over the past years.It was approved unanimously by the Northern Provincial council. Against that backdrop the question posed by many is “What about the mass Muslim expulsion amounting to ethnic cleansing in the North”? Will Chief Minister Wigneswaran and his Northern provincial council pass a unanimous resolution expressing remorse over the incidents and seeking genuine Tamil – Muslim reconciliation? In an environment where reconciliation is being talked about nationally and globally there is an imperative need for rapprochement between the Tamils and Muslims of the North. A strong sincere hand of friendship should be stretched towards the Muslims.A genuine and humble mass apology should be extended towards the Muslims by the Tamil National Alliance controlled Northern Provincial Council for the mass expulsion twenty-five years ago by the LTTE”.